Arsenal midfielder Mohamed Elneny preparing to leave the club in this summer. 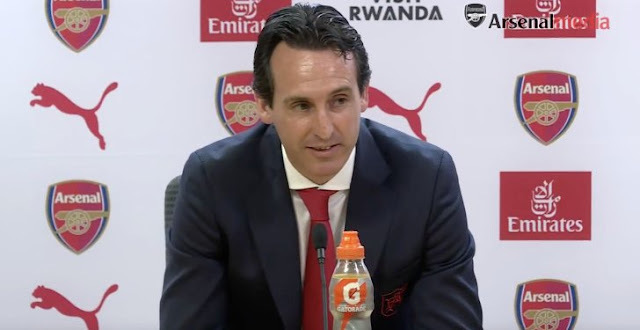 Gunners signed Lucas Torreira and Matteo Guendouzi in this transfer window. So there is no place for Egypt international and he plans to leave London in the coming days. Mohamed joined Arsenal from Basel in 2016 with a £12m deal. He is a very talented midfielder but needs a regular game time to prove his greatness. Granit Xhaka and Lucas Torreira will the main figures in midfield and Elneny will spend this season sitting on the bench. So 26-year-old prefers to change the working place. In this season Egyptian midfielder played only 13 games and scored 1 goals in all competition. This is a terrible result for the player and he should leave the club if he wants to get a regular place in starting line-up. Several clubs will sign him with a pleasure. He also named in the national team squad for the World Cup but they stayed in the group. Mohamed contracted with Arsenal until 2022 and his release clause is nearly £20m. Emery started to rebuild the club and he doesn’t consider Elneny in his future plans.